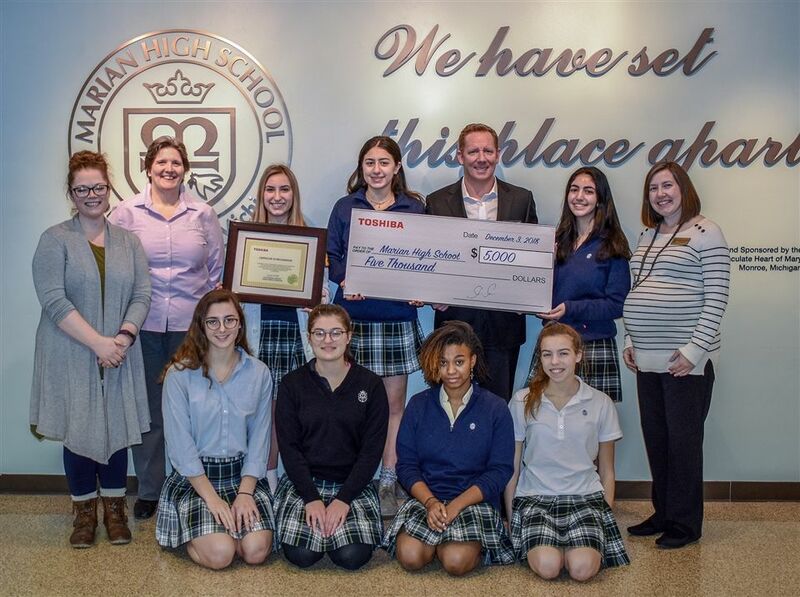 Marian is pleased to announce it has received a $5,000 grant to support Science, Technology, Engineering and Mathematics programs (STEM) from Toshiba America Foundation (TAF). These funds will support the purchase of two 3D printers. Marian’s first 3D printer was purchased in August of 2017, and has been a great success. Several academic departments and school clubs have used the printer for various curriculum projects, including the art and STEM courses. Due to the amount of time each print job requires, however, it’s been a challenge planning for full classes of students to take advantage of the tool. Two additional printers purchased through the grant will allow more students to access the technology. TAF’s grants fund projects designed by individual classroom teachers. This “direct-to-teacher” approach brings immediate results. Teachers are able to change the way they teach (STEM) subjects because the grant supports equipment for hands-on experiments and inquiry-based approaches to the curriculum. TAF believes that STEM is a lot more fun than just reading a textbook. TAF grants provide teachers with the tools they need to be more effective educators. The grants make the classroom a more exciting place for both teachers and students. Each year, Marian High School celebrates STEM Week with special projects or activities in science and math classes, in addition to hosting a STEM Career Night for Marian students and middle school students. Photo caption: (Front row) Olivia Osuch, STEM Club officer; Gabrielle Grace, STEM Club officer; Kamayah Carr-Bunkley, Robotics Club officer; Ellie Kindseth, Robotics Club officer. (Back row) STEM teachers Abbie Bailey and Mary Ann Findling, Madison Paulus, Forensic Science Club officer, Adriana Kalabat, BEAM&R Club officer, Ron Polak, Vice President/General Manager Toshiba Business Solutions, Southfield; Lauren Hamama, Friends of the Earth Club officer; STEM teacher Stephanie McRoberts, Grant awardee.